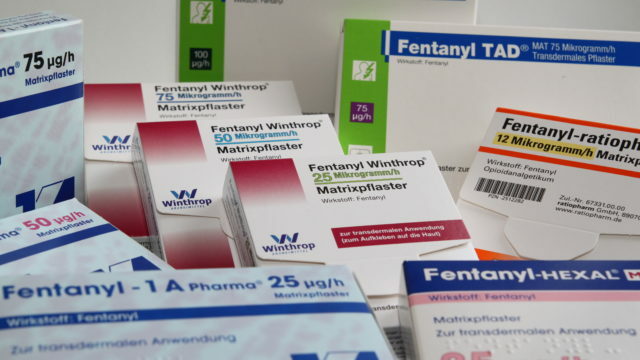 Two men are facing federal charges in the death of a 41-year-old San Diego woman who overdosed on fentanyl-laced heroin last fall, the U.S. Attorney’s Office announced Wednesday. Travis Ray Ballou, 40, and Tony Davis, 63, are charged with distribution of fentanyl resulting in death. According to the criminal complaint, officers responded on Oct. 24 to a 911 call regarding the suspected overdose of a woman identified in court documents as J.C.G. When officers and paramedics arrived, they attempted CPR without success and pronounced the woman dead. Authorities confirmed that the cause of death was a fentanyl and heroin overdose, and the case was immediately assigned to a multi-agency task force led by the U.S. Drug Enforcement Administration. Within 24 hours of the woman’s death, officers traced the fentanyl-laced heroin back to Ballou, who was arrested, according to federal prosecutors. The complaint alleges that Ballou sold heroin to the woman three times — on Oct. 22, 23 and 24. On Oct. 23, she overdosed and went to a hospital, where she was revived with Narcan, an opioid blocker used for the rapid reversal of an opioid overdose, according to court papers. The following day, she told Ballou about overdosing the day before and asked for more heroin, which he supplied, and hours later she was dead, prosecutors allege. Investigators said they quickly identified Davis as the person who allegedly supplied Ballou heroin and fentanyl. During a court-authorized search of Davis’ residence, officers found evidence of fentanyl, heroin, cocaine and methamphetamine, as well as syringes and payment ledgers, according to prosecutors. Davis made his initial appearance before Magistrate Judge Linda Lopez on Tuesday. Ballou is expected to make his initial court appearance sometime next week.